SENSORY TABLE TIP Yes, this is a ‘Sand Theme’ however– along with the above— You could add Beans, Seeds, Pasta, Rice, Ice cubes, Snow, Dirt and Worms, Packing Peanuts, Cotton Balls, Instant Potato Flakes, Oatmeal and Shaving Cream. Have mittens available if playing with snow and ice in the table or tubs. Even if you don’t have a sandbox, this sand-painting craft is guaranteed to give your kids hours of warm weather fun. 1. Add 20 or more drops of food coloring to spray bottles to make colored water. 2. At the sand area give children several bottles of colored water. As they spray, the sand will change color, creating a wonderful painting. 3. If the kids want to ‘paint’ a new picture, direct them to mix under the top layer with their shovels. Be sure to protect clothing from the food color! SAFETY NOTE: Most commercially sold play sand is actually powder from quarried quartz – a substance known by OSHA to cause lung disease. You can purchase safe sand from companies like SafeSand.com. 1. Give each child a piece of construction paper, and have them draw a picture or write words with the glue. Make sure that they do not put gobs of glue in any one spot. 2. Before the glue dries, with the hand, pour/put sand onto the glue. Let it sit for a few minutes and then shake off the excess sand. 3. It should dry flat for about a half an hour depending on how much glue was used. 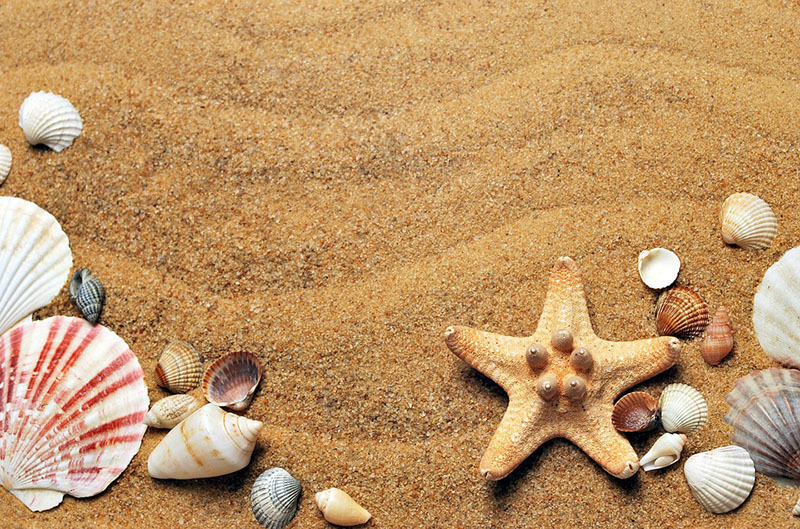 TIP: This can also be done with colored sand–but for those on a budget–regular sand works just as well. Mix and put into a shaker. Mix ingredients together and knead. Play sand comes in a variety or colors. A 50lb bag of play sand is usually about $5.00. To use the entire 50 pounds, you’d need 24 boxes of cornstarch. It may not make perfect sand castles, but is fun to squeeze, squish, bury things, make hand prints & other shapes. Some have said their castles came out nicely! Let us know! Mix together to create a dough. You may need to add water or flour depending on the consistency. Add sand to quick set cement and follow the instructions for mixing the cement. Use this recipe when you have a mold or have created a pattern in the sand. 1. First thoroughly mix together the sand,cornstarch and water. It will take a few minutes to get it smooth. Really work it in with your fingers…and then it’s done! 2. You may need to add a bit more water–but be careful and add just a small amound at a time; it could get goopy. 3. When done–Place in an an airtight container. Next time, revive it with 2-3 tablespoons of water. Just sprinkle it over and work it in. 1. Mix sand and glue until sand is syrupy. 2. Pour the mixture into a bowl, plate, cup, etc. 3. Push shells into the mixture to form a sculpture. 4. Let this dry undisturbed; it may take a couple of days. 5. When dry–the glue converts the sand to a plaster. If not using purchased colored sand, combine the sand with the dry tmepera paint. Make a variety of colors. Salt also works for white. 1. Put sand and small rocks in a bottle. 3. Put in water and salt. Decide where to make your sand footprints. You can use a sandbox or a deep box filled with sand. If you are at the beach– the damp, hard-packed sand near the water’s edge works best. If the sand is dry, add water to make sure that it is firm and will hold the shape. 1. To make the foot prints–place foot hard into sand so the imprint is at least 1/2 inch deep. 2. Mix the plaster according to the instructions on the package until it is thick. 3. Fill the foot imprint with the plaster mixture, pouring slowly so the mold remains intact. When the plaster should form and harden in about 45 minutes. Gently lift the shape from the sand; clean the sand from it. Allow the foot print to dry for at least one hour– or follow instructions on plaster mix for drying time. When dry it’s ready to decorate as desired. Example: Paint it and then glue on beads, etc. Cut off the bottom of a milk jug and put it aside for another activity. Glue the lids onto the tops of the jugs to make scoops. Have children decorate the scoops with colored glue and permanent markers. 1. Give each child a piece of wax paper. 2. Have them make squiggles and different designs with the glue. Then sprinkle the glue with colored sand. 3. After the glue has dried (overnight) peel the design off of the waxed paper. 1. Place graham crackers in a plastic sandwich bag and crush with a rolling pin. 2. Add a few chocolate sprinkles to make ants, then seal the bag. Mini chocolate chips (spider eggs). SAND CUPS #1 – Kids love them! Choice of Mini umbrellas, gummy bears, worms, star fish, etc. 1. Pour milk into large bowl. 2. Add pudding mix. Beat with a whisk until well blended, 1 to 2 minutes. 5. Place 1 tablespoon crushed cookies into each cup. Fill cups 3/4 full with pudding mix. Top with remaining cookies. 6. Refrigerate for one hour. If you’re making a batch of Sand Cups and feeling creative–serve it from a child’s new sand pail and scoop it out with the shovel! ANT HILL– Make edible ant hills in cups! Use clear plastic punch cups to see the layers. 1. For the ‘dirt” layer–first put chocolate pudding into the cup. 2. Crush graham crackers in a plastic Ziploc bag and pour the crumbs into the cup for the anthill “sand”. 3. Add chocolate chips or raisins for the “ants”. Try this version from Kraft Canada using purchased pudding cups! How easy can it get! Crush graham wafer; sprinkle over pudding snack. 1. Put a few pinches of sand onto white construction paper. 2. Instruct children see what the sand looks like using a magnifying glass. Grow a garden in an egg carton. fill one side with sand and the other side with soil. Bury a seed in each cup for a side-by-side comparison. Which seeds started growing first…and which grew the fastest, strongest and tallest? Hide metal objects in dry sand to see if the magnet can find them. After, extend the activity by adding water to the sand. Will the magnet still find the metal objects? Next, put the magnets in tubs/pails of water. Will the magnet attract the metal? Players: Small to medium groups. Play this game at a sandy area like a volleyball court or large sandbox. The object of the game is to hide small tags or slips of paper that have been labeled, in the sand. There are two options for labeling the slips of paper. One would be using a point system by labeling the tags 2 points, 5 points, and/or 10 points. Bury the tags with the higher points deeper in the sand, so that it takes a little bit more effort to find them. A point system would work better for a small group. For each player you should make and bury about 5-8 tags. The other option rather than the point system for labeling tags is winning a prize. Purchase various prizes for the group to win from small items like candy pieces, bags of chips and cracker snacks, to large items that might have even been donated. Have each number on the tags represent a different prize. Have children pretend to be gold miners. Paint very small rocks, gold. Hide them in the sand. Give children small sifters to sift through the sand looking for gold. What child wouldn’t like searching for dinosaur bones? 1. Save old chicken bones. 2. Clean in hot soapy water. 3. Hide the bones in the sand. 4. Give children small brushes to brush through the sand searching for bones. Divide the group into two (or more) teams and line them up. Have the first person in each line grab a handful of sand from a container. They must pass the sand to the next player, who passes it to the next, and so on down the line. 1. Form groups of 3 or 4 children to a team. 2. Set up a time limit and challenge youth to create a castle or village. 3. Creations can be judged based on: teamwork, creativity, largest, smallest, tallest structures, most unique, originality, style, etc. Suggestions: If possible, offer a variety of sand-types. Extension Ideas: The challenge can also be for kids to build their sculptures on the current theme–such as Medieval, Country around the worlds, Sports, etc. Have children create stories to go along with their creations. Don’t forget about TAKING OUT THE SMALL CARS AND TRUCKS! Encourage children to build roads, hills, and bridges. This can be an organized activity where childrens’ creativity is challenged! Can they add a small Lego or Lincoln Log village, action figures and other props?